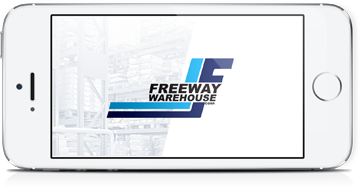 Freeway Warehouse offers warehousing, distribution and transportation services of various commodities. 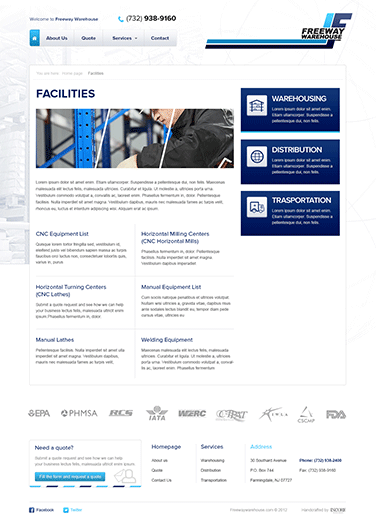 The company’s New Jersey location and easy access to freeways, ports and airports enables it to effectively serve businesses in the New York-New Jersey-Philadelphia area, as well as in other states and countries. 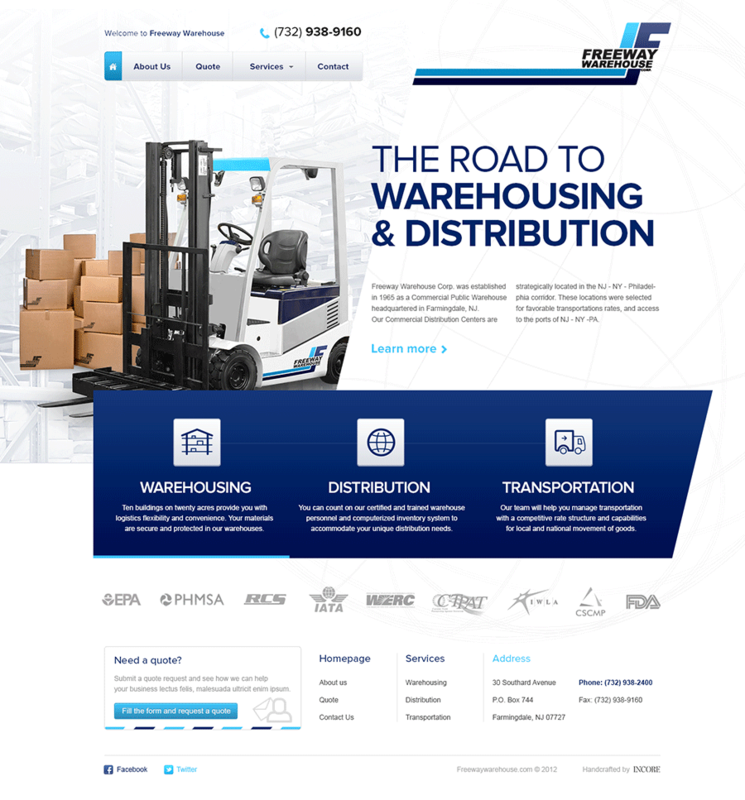 With its multiple facilities, own trucking system, trained staff, computerized equipment, and logistics flexibility, Freeway Warehouse provides convenience, quality service, and order customization to fit any need and accomplish any goal. The company guarantees safety of all materials and accommodation of all distribution and transportation requirements at a competitive rate and in a timely manner. 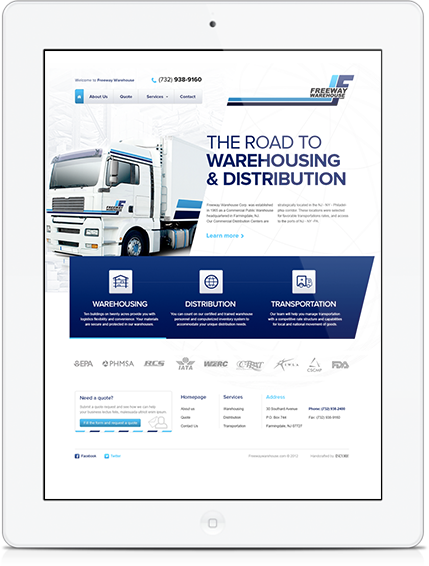 INCORE launched Freeway Warehouse’s online existence, establishing its presence in the digital world. 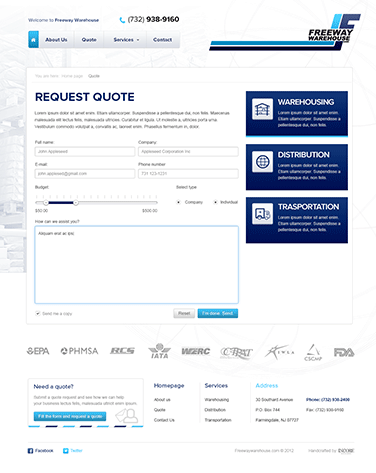 Our aim was to illustrate an image of a convenient and efficient supply chain management service. 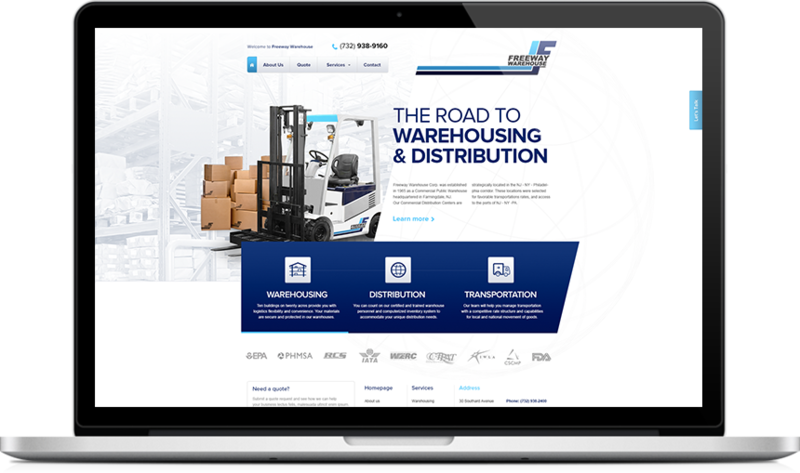 We wanted the viewers to experience how worry-free their storage, transportation and distribution processes can be, thus trust Freeway Warehouse and put their own needs in the company’s hands.